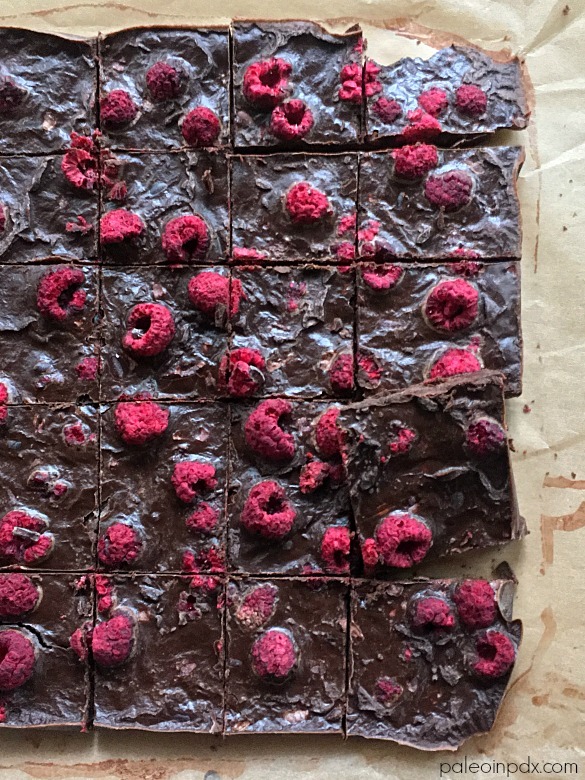 This raspberry cacao nib fudge is super easy and very customizable too. The freeze-dried raspberries are a splurge, in my opinion, but really make this fudge extra special. And, the pop of color is quite pretty too. Kinda romantic, eh? Normally, I wouldn’t post two treat recipes back-to-back, but I blame it on Valentine’s Day…it inspired me. I actually rarely post dessert recipes as it is, but alas…Valentine’s Day. But, truthfully, I’ve been wanting to experiment with something like this for a while, so that’s reason enough. Cheers and enjoy! Happy Valentine’s Day too! Melt coconut oil in a saucepan over low heat. Once melted, remove from heat and whisk in the honey and stir until dissolved. Then, add the cocoa or cacao powder, sea salt and vanilla. Whisk until cocoa powder is completely mixed in. Let mixture sit a few minutes to thicken a little. Line an 8×8 baking pan with parchment paper. 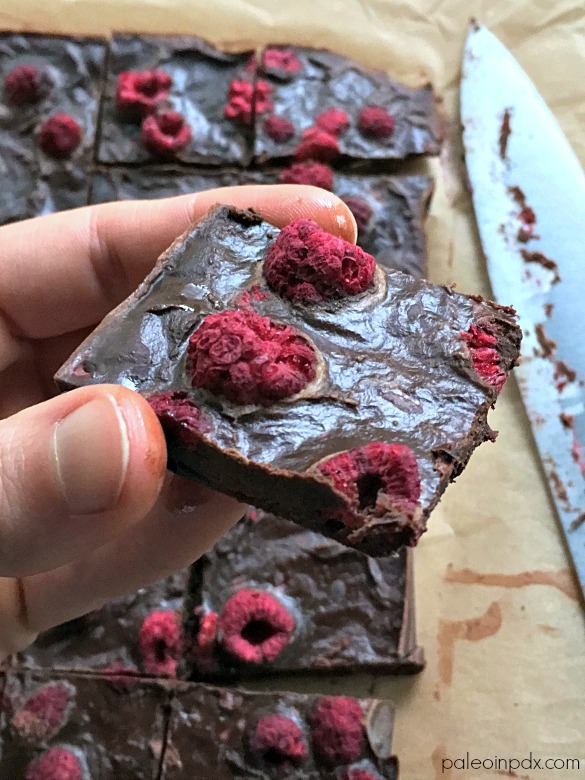 Pour mixture into pan and while still wet, sprinkle the desired amount of freeze-dried raspberries and cacao nibs on top. Place in fridge to set for 20 minutes or so. Cut into desired-size pieces and store in the refrigerator.